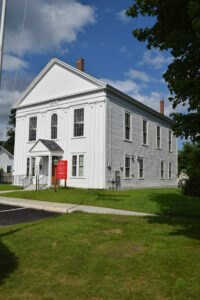 The Historical Society's Spring Festival will be on Sunday, May 26 from noon to 2pm at the Whately Town Hall. Can you help? We always need volunteers to bake goodies, set up tents, and help at the Festival itself. Call Adelia at 665-3837 if you can pitch in to help it be a spectacular event. Regular monthly meetings of the Historical Society are held at the Whately Town Hall, 194 Chestnut Plain Road on the first Thursday of the month at 7pm, with the exception of the months of January and July and those when special lectures are held on other dates. All are welcome and refreshments are served. The building is fully accessible.